So in the Parrot Head way of overdoing, we plan to do two phlash Phlockings around the upcoming weekend. Saturday August 1st at 9:00 AM. 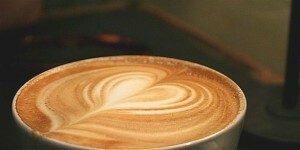 A repeat of the popular “Coffee Phlocking” at Stir It Up. We had such an enthusiastic turnout last time that another morning get together is well overdue. Stir It Up is in the Food Lion Plaza at the end of the building for those who may not have been there before. Hope to see you all there! Monday August 3rd at 7:00 PM. The EIPHC’s own DJ-JD, the Music Man (John Dyer) will be playing tunes from 7-10 at the Irish Pirate, come on out to support him and enjoy an evening of eclectic music and your favorites by request. 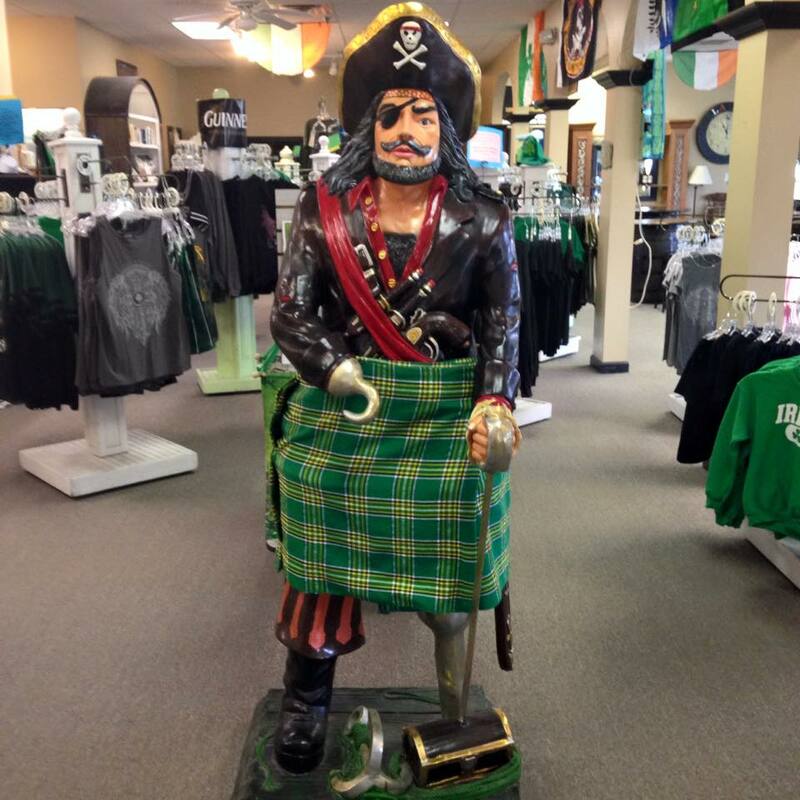 Of course, the Irish Pirate is in the Plantation shopping center, across the aisle from RuckerJohns. 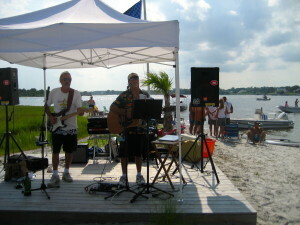 Wouldn’t this be amazing at the Beach Bike Poker Run next year!! 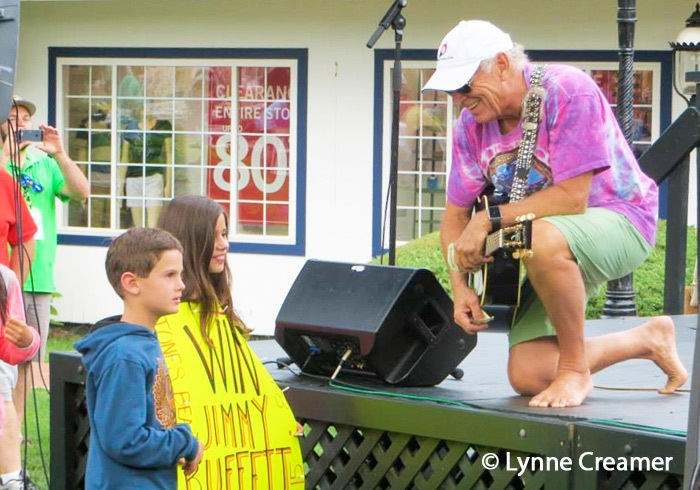 Jimmy Buffett surprises Wounded Warriors as well as the the METRO Parrot Head Club volunteers with a concert after the Soldier Ride in East Hampton, NY. Got a few news items coming down the pipeline about the Phlocking/Island Party weekend. August 7th Phlocking will be a Margaritaville Luau featuring DJ Rob with his usual selection of entertaining and danceable tunes. Wear your best island Luau attire, or at least something wild and festive! This page has information about becoming an Emerald Isle Parrot Head Club member and a link to a printable Membership Form that you can mail in along with your membership fee. Keep safe out there and look for more updates on the Anniversary Weekend (or 13th Year) later this week. 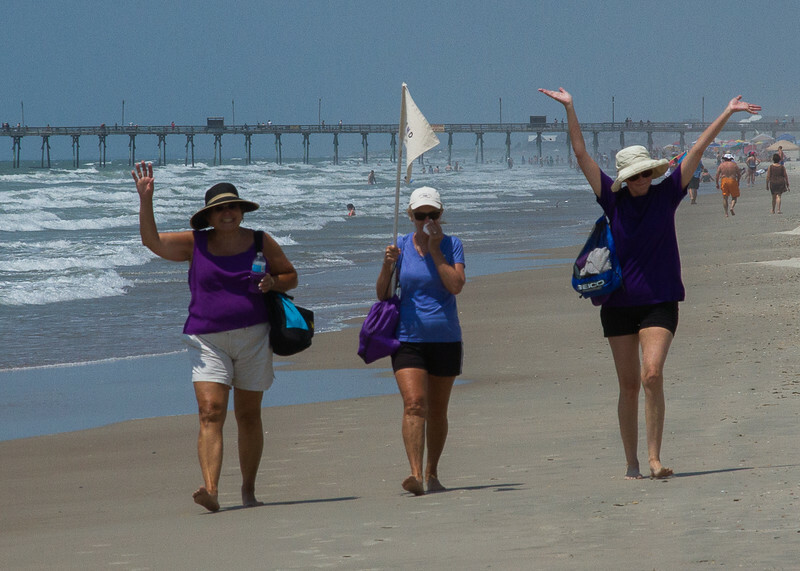 On 6/20, the Summer Solstice, the Emerald Isle Parrot Head Club (EIPHC) joined forces with the Emerald Isle Turtle Protection Organization in support of the North Carolina Alzheimers Association’s Longest Day fund raiser. 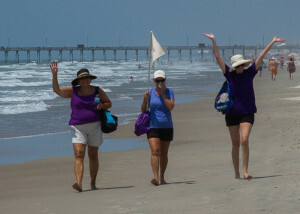 Under the organization of EIPHC member, Susan Smith, who is also the state’s Alzheimers Ambassador, 29 Parrot Heads walked the EI beach from sunrise to sunset raising money and awareness for this devastating disease. Some participants raised their own sponsorships, while our club also pitched in $10 per member for their efforts! EIPHC members comprised almost half the total walkers! Hopefully we can do it again next year. Parrot Heads do it again with a great time had by all. 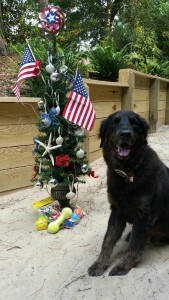 Renee and her helpers hosted Christmas in July PHlocking at the E-Club to benefit the Animal Shelter. We had a good turnout of folks who braved the heat and the threat of rain. Flannery (her dog) watched over the goodies everyone brought for the Shelter; lots of dog and cat food and other assorted stuff! 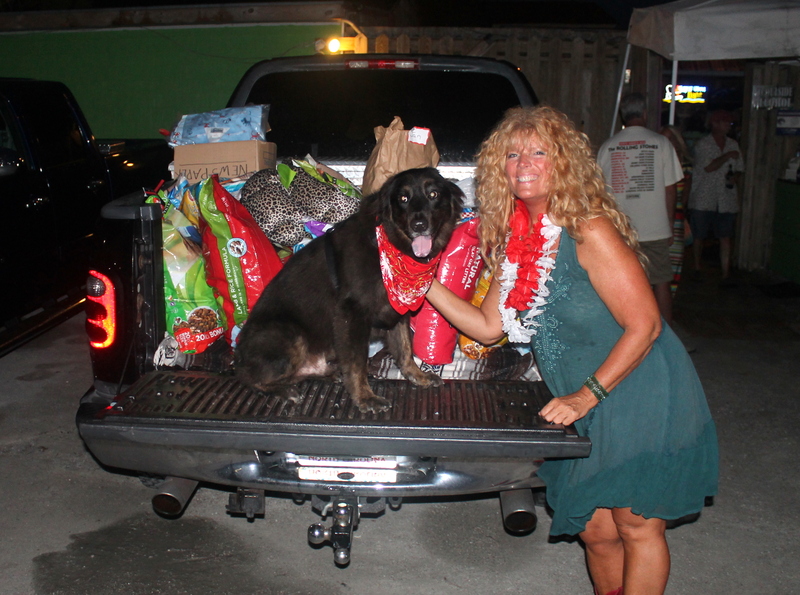 The 50/50 raffle netted $80 to help the shelter. Thanks for all the hard work Renee and thanks to all who contributed. Party with a Purpose once again! 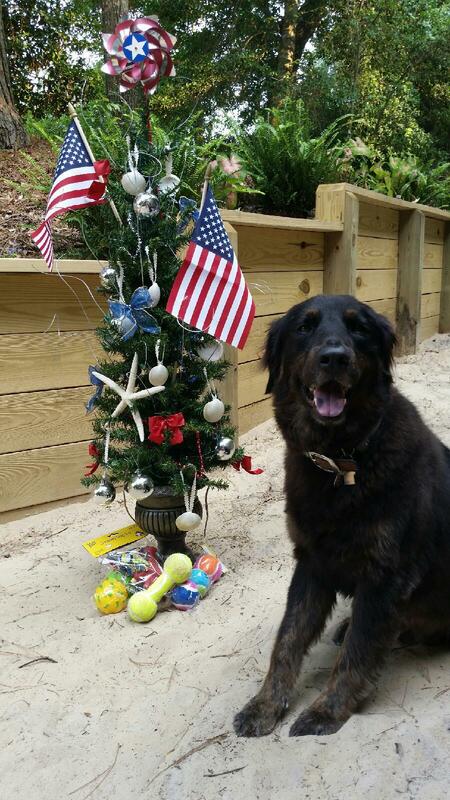 Make a dog smile with Christmas in July! A few additional notes about the Phlocking Friday July 3rd…..
For complete information on the event see the previous post. The Humane society likes to use “Special Kitty” brand kitty litter; available inexpensively at Wal-Mart. They also prefer Purina (Dog-chow, Puppy-chow, Cat-chow, Kitty-chow) brand foods.